Yesterday, I wrote about the Tyne Pedestrian and Cyclist tunnels. Today, I’m showing the ventilation shafts from the vehicular tunnel. The one in the foreground is the south shaft, and if you look carefully, the north shaft is across the river in the background. In fact, the ventilation shafts are no longer in use, as the tunnels (now plural) now have a rather more sophisticated ventilation system. 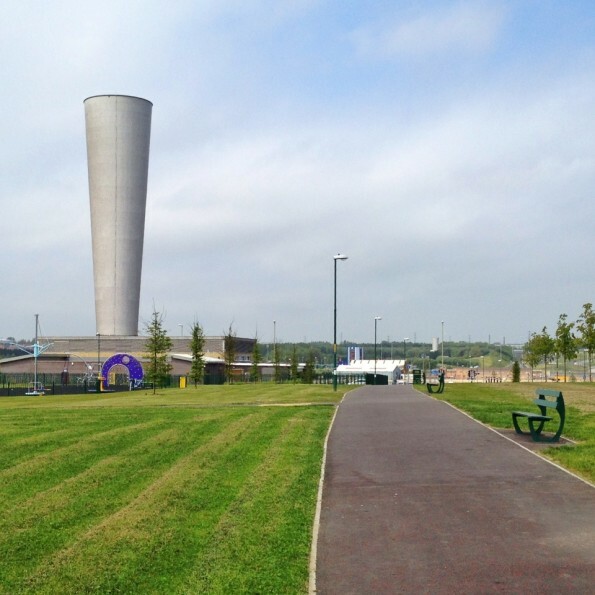 However, these twin ventilation shafts have become such local landmarks that they have been retained. This 1,669th post was filed under: Photo-a-day 2012, Newcastle-upon-Tyne, South Shields.